Keep the medicine cabinet in a secure, locked place, well out of reach of small children. Always read the instructions and use the suggested doses. Watch expiry dates - do not keep or use medicines past their sell-by date. 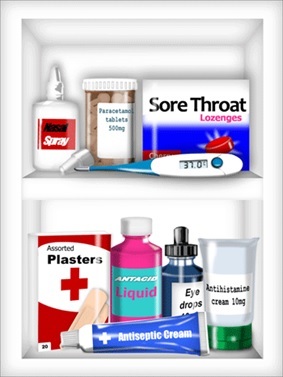 Take all unwanted and out of date medicines back to the pharmacy for disposal. This stops medicines getting into the water supply and the wrong people getting hold of medicines that have been carelessly thrown away.